Septic tank problems, blocked drains, foul odours - Depawater can help. When Gradeall International approached us at Depawater about septic tank problems, we quickly found a simple solution and resolved their issue straight away. Depawater carried out a site visit, identified the problem and proposed a solution to resolve all issues as soon as was possible, with a full turnkey solution for the customer. It was simple really; the answer was Tricel. What were the septic tank problems? 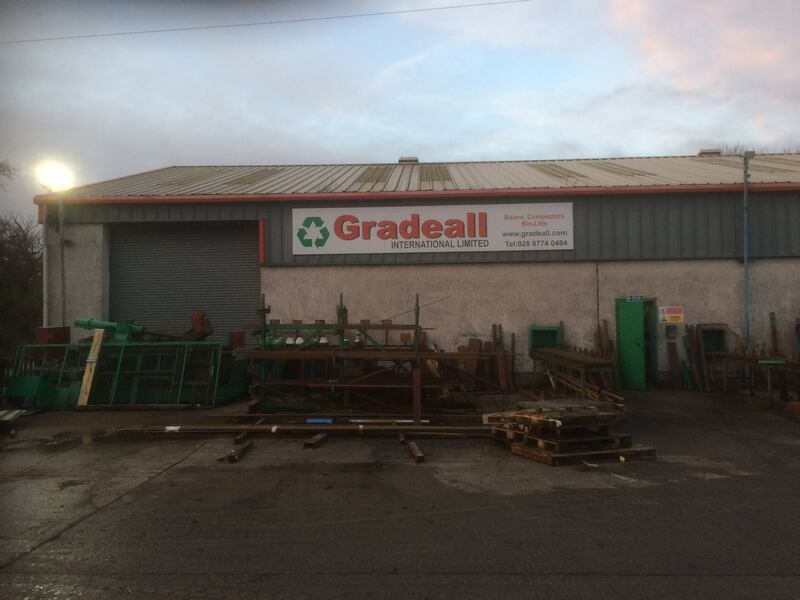 A problematic sewer and septic tank had staff and management at Gradeall International at their wit’s end. 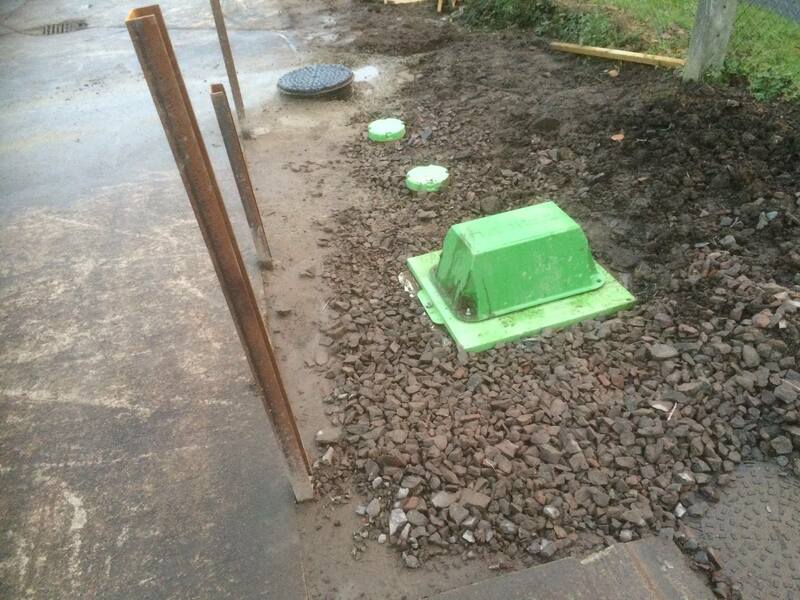 The client had severe issues with their septic tank which resulted in having to flush out their blocked sewer daily. The lost time and costs involved in emptying the system so regularly had become intolerable. They needed a simple, reliable and effective solution to be able to get on with their daily routine without this constant nuisance. Gradeall requested a quick solution that was effective, reliable and would not cost the Earth. They saw the value in a trustworthy manufacturer such as Tricel. Not only was it essential to provide a reliable solution, but they also wanted the peace of mind that it was properly fitted and maintained by a professional company. A company that they could call on at any time. The clients also required a committed service provider dedicated to delivering service excellence. That is why they chose Depawater. 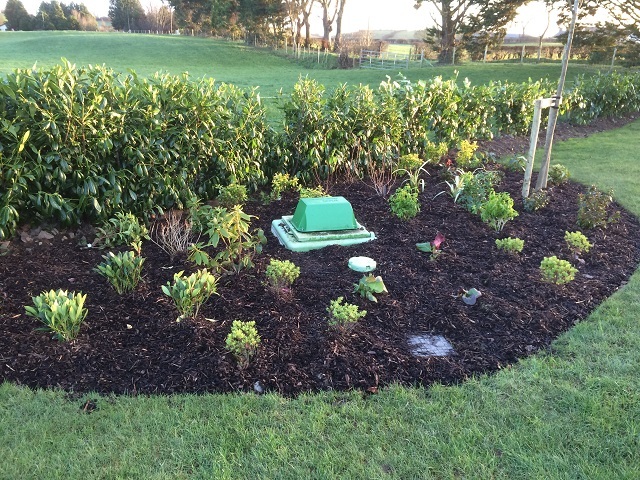 With our vast experience gained over the last ten years in identifying and solving septic tank and sewage treatment, the management at Gradeall knew they were making the right choice. Our solid operational history gave them the confidence that we could fix this problem once and for all. Depawater quickly provided a simple, practical, reliable solution, and all at a very reasonable price. We installed a new Tricel Novo UK10 gravity commercial wastewater treatment plant and percolation area so that Gradeall could get on with their business without any more daily nuisance from blocked drains and foul odours. The tank is now operating efficiently and requires desludging only once per year, instead of once a week. This project was completed within four days from start to finish, with minimal disruption to work within the Gradeall factory. Our clients business can now get on with their work, with the confidence and assurance that they will not have any more unwanted blockages, smells or costs as a result of their old defunct septic tank. The Tricel sewage treatment plant is serviced annually by Depawater Ltd, keeping everything in perfect working order and letting Gradeall continue with their own successful business, without any more hold-ups or headaches. Another problem solved by Depawater Ltd, using the most reliable solution available, Tricel, the number one choice for reliability and effectiveness. 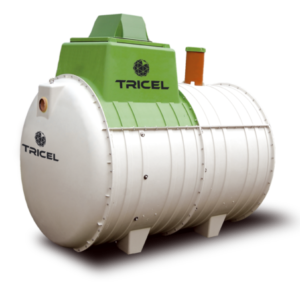 When it comes to septic tanks and sewage treatment solutions, you can trust a Tricel.